Public policy and programmes such as the strategic objectives of the Scottish Government of a Greener (that is, "improve Scotland’s natural and built environment and the sustainable use …"), and Healthier (that is, "help people to sustain and improve their health, especially in disadvantaged communities …") Scotland, seek to deliver improvements in people’s surroundings and the environment. The aim of the Green Health project is to explore the relationship between green space and human health using a range of methods and disciplinary approaches at different scales. The research sought to test the importance of factors associated with public and individual perceptions, and actual measures, of the environment, and measures of its character, directly related to people’s health and wellbeing. It explored potential relationships between green space and human health using a range of methods and disciplinary approaches at different scales (individual, community and population). The findings fill some of the gaps in evidence which can inform assessments of the effects of land and environmental management policies on the provision of environments that are conducive to good public health and well-being, and the role that quality can play in the benefits of green spaces. A series of Information Notes has been prepared which summarise key findings from the Green Health project. which are listed below. Overall, there is evidence that access to, and use of, green space is favourably associated with risk of mortality and risk of poor mental health for some people, but relationships between green space and health are weaker in Scotland than England and Wales. Evidence was found of a link between green space quantity and both perceived stress and mental wellbeing. Evidence was found that more urban green space is favourably associated with lower levels of self-reported stress and reduced physiological stress, as indicated by diurnal salivary cortisol patterns in a sample of middle-aged men and women not in work. Findings show that green spaces have different meanings for different people. Hence, there is not a simple cause-effect relationship between green space engagement and wellbeing. Findings show the importance of the multiple services provided by green spaces, such as places for relaxation and escape, and desires to improve the quality and range of benefits. Findings illustrate the potential geographic significance of the inclusion of measures of visibility of green spaces together with the distance to green spaces from residential properties. An overall summary of the project findings are provided in Information Note 7. Findings show that urban green and open spaces contribute to public health and wellbeing, particularly mental health and wellbeing. Professor David Miller, who led Green Health on behalf of the James Hutton Institute, outlines the main findings of the project. The final report of the GreenHealth project is available to download below. It provides background details to the research activities which are summarised in the Information Notes. It includes details of the analysis of Scotland wide data sets, the case studies in Dundee and Edinburgh, underlying data, and an interpretation of the potential relevance to public policy. Outputs are being disseminated supported by a programme of knowledge exchange with stakeholders and the public. This aims to raise awareness of the research findings, links between the management for green/open space and public health and wellbeing, and potential for wider public participation in community planning. A list of recent such events is provided under knowledge exchange, from which copies of some presentations can also be downloaded. The principal findings were presented at the Green Health Conference, March 2013, from which you can download copies of the presentations. The event was organised by greenspace scotland and held at Edinburgh Training Centre, St Mary's Street, Edinburgh. Throughout the project the research team was supported by the Green Health Consultative Group. Thanks are due to the members of this group for their advice and suggestions. A related project reviewed the state of knowledge of the role of water in relation to wellbeing (for example, a cause of stress, or a factor influencing psychological restoration); collating the state-of-the-art in evidence of the role of water in relation to wellbeing; and, engaging with stakeholders to identify links in the state-of-art in evidence of the role of water in relation to wellbeing; and engaging with stakeholders to identify links between water and wellbeing. The Information Notes and full report are accessible from the Centre of Expertise for Waters (CREW) website. Contributions were also made to public consultations and discussions on local plans and policy, such as the Scottish Land Use Strategy (consultation response, 2011, here), and informed discussion in the Ministerial Task Force on Health Inequalities (presentation on creating quality neighbourhoods, by Lorraine Tulloch). 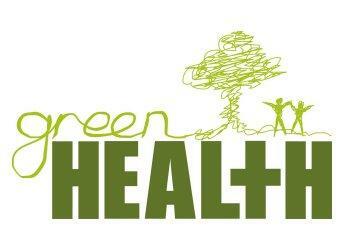 For more information about the GreenHealth project please email GreenHealth enquiries. Thanks are due to the Scottish Government Environment and Health Programme, through the Rural and Environment Science and Analytical Services Division (RESAS). Thanks to the members of the Scottish Government who reviewed and commented on the information notes and draft final report, and Sheila Beck and George Morris for doing the same from stakeholder perspectives.